Welcome to Mrs. Peterson's Art Class! 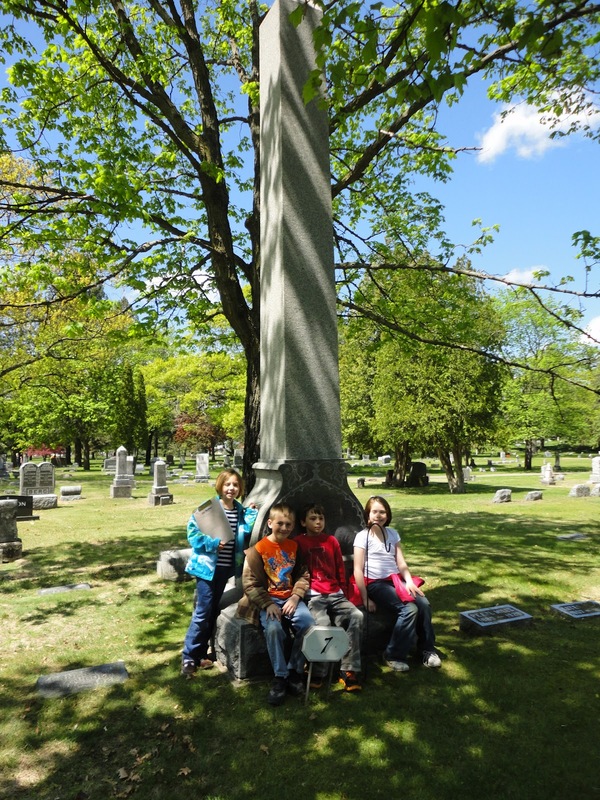 Lemmer 2nd graders had a wonderful experience when they went on the 2nd annual Lakeview Cemetery field trip. About 100 kids and 25 teachers and parents walked from Lemmer to the cemetery to experience art in an unexpected place. Think about it. All of those beautiful old monuments were handcrafted by artists to be a permanent reminder of those who have gone before us. 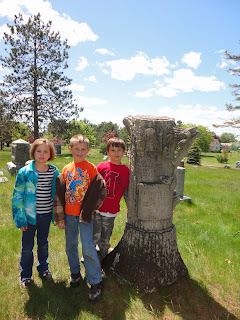 The 2nd graders used a map to locate specific names - the names of Escanaba's founding fathers. They made rubbings (very carefully) and took some interesting pictures. 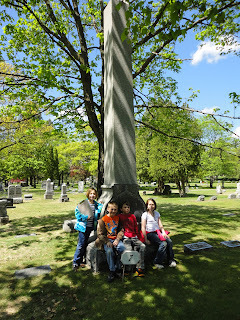 They also completed a scavenger hunt of common symbols found on grave markers. This experience reinforced many of the social studies objectives taught this year, while also teaching many of my art objectives. Students, parents, and teachers all had a great time and enjoyed the beautiful May weather while working together. I can't wait until next year! Even at this tender age, he is still not satisfied with his work. Check out these links to see art like you've never seen it before! Click here to see Michigan's art education standards. You remember Bob Ross, right? You MUST check out this video! Awesome! Visit Eric Carle's homepage to watch him create his illustrations! Zoom in on famous paintings! Get closer than you can in the museum!